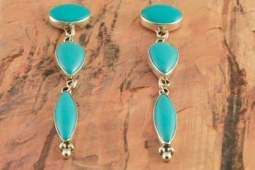 Genuine Sonoran Bue Turquoise set in Sterling Silver. 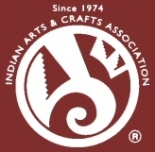 Post Earrings Created by Navajo Artist Delbert Delgarito. Signed by the artist. Sonoran Blue turquoise is from an area close to Cananea in Sonora, Mexico. Post Earrings are 2 3/4" L x 1/2" W.